There are a couple of wise guy gangsters schmoozing in a dimly lit bar. The mood is good and conversation congenial, but then one of the tailored suits takes offence to a throwaway comment. “What do you mean I’m funny?” he retorts. The atmosphere shifts, tensions rise and trigger fingers twitch. This of course is the iconic exchange between Ray Liotta and Joe Pesci in Goodfellas. We all know how this scene plays out, but the suspense and excitement it generates is electric. Pesci is a livewire and his sharp turns between psychopath and raconteur catch Liotta out as much as the audience. Black Mass, the latest instalment in the American Gangster myth, attempts to recreate Goodfella’s famous scene and falls flat on its face. There are minor differences to the original, but the setup and intentions are identical – so why does it fail to excite this time round? For exactly that reason – it’s the same as before. So much of Black Mass is built on heavily tread ground and predictability. The film falls back on star man Johnny Depp’s physical transformation as gangster Whitey Bulger to hold interest. Once you peel back Depp’s vampiric prosthetics there’s really very little to sink your teeth in to. Based on real events, Black Mass focuses on Boston’s criminal underworld, specifically the Irish Mob, in the 1970s and 80s. The focal point of the tale is how small time crook Whitey Bulger (Johnny Depp) rose to untouchable overlord of Boston via a deal with the FBI. While the story and title are from book Black Mass: The True Story of an Unholy Alliance Between the FBI and the Irish Mob (try saying that drunk), the film’s central premise is straight out of Gangsters on film 101 and owes much to genre trailblazers The Departed, Goodfellas, The Godfather Trilogy and Scarface. Essentially Black Mass is a tragedy of Shakespearean origin – a self-fulfilling prophecy of rises and falls with no half measures. The fact we can guess the ending is irrelevant, it’s how well the journey to that point is portrayed that matters. Unfortunately for Black Mass the journey is drab, fragmented and forgettable. Like the worst gangsters, Black Mass’s bark is much worse than its bite. One of the film’s major failings is director Scott Cooper’s inability to find a narrative perspective. The film opens via a flashback of Kevin Weeks’ (Jesse Plemons) FBI testimony against his old boss Bulger. Here’s where the inconsistency begins. Weeks’ opening monologue refers to how Bulger took the youngster under his wing as an enforcer and protégée. This seems like a sensible way into Bulger’s world – looking outside in through a classic rising up the ranks story. Yet after this opener we rarely see Weeks again bar the odd exchange or presence as background muscle. Similarly jarring is the sporadic and seemingly random use of testimonial flashbacks. Unlike, say True Detective, which successfully built the story around flashbacks and bridging decades, Black Mass jumps between times and perspectives without any conviction. This absence of direction means that Black Mass lacks context or establishment. Instead we’re dumped in the middle of Boston with all these characters and dynamics already fully formed. By missing out on the formative years of the main players, how are we, the audience, supposed to care how they end up? Weeks may not be the central player in Black Mass, but then neither is anyone else. While Bulger is the star attraction it’s his FBI contact and childhood friend John Connolly (Joel Edgerton) who carries the film. Great characters are built on conflict and Connolly’s situation is rife with it. After forging an uneasy alliance with Bulger his loyalty is tested, not just between work and friends, but between him and his family. 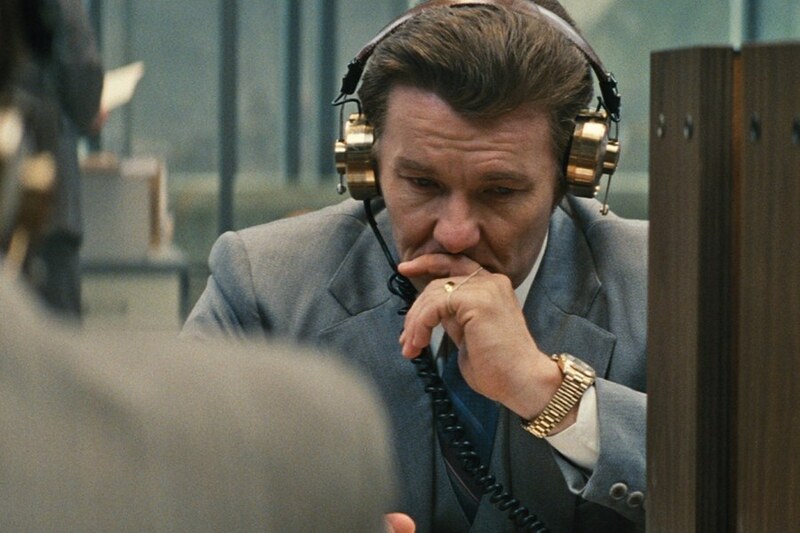 Edgerton plays the role superbly throughout. He’s truculent and devious without ever lapsing into violence and vindication. Connolly is morally dubious at best, but Edgerton does enough to make us sympathetic to the complex web of lies he’s tangling himself up in. Connolly straddles the line between the two Bulger brothers’ world. On the one side is Whitey Bulger’s glamorous and profitable world of crime, on the other is Senator Billy Bulger’s (Benedict Cumberbatch) virtuous endeavours to work for the people of Massachusetts. The brothers may be polar opposites on the legal spectrum yet that doesn’t infringe on their blood bonds. It once again comes back to that notion of loyalty which forms the thematic basis of the film and the pivot from which the world turns. Sadly, the script from Mark Mallouk and Jez Butterworth fails to flesh out Cumberbatch or Depp’s characters. As a result of their one dimensional personas the loyalty dynamic between them is never fully exploited. Director Cooper wants us to see Depp’s Bulger as a complex individual who can jolt between violent psychopath and family man. This isn’t how he comes across though. The attempts to show him in a positive light are weak. Like all gangsters he loves his mother, and the acts of violence aren’t as despicable as you’d hope. He’s not Michael Corleone or Tony Montana, he’s just a nasty crook and that’s about it. Similarly his brother Billy is peripheral and unaided by the bizarre casting of Cumberbatch whose Bostonian accent is dodgy to say the least. Earlier this year gangster biopic Legend came out. While far from perfect, the Kray twin story was told with a larger than life verve that brought familiar scenarios to life with a refreshing spin. 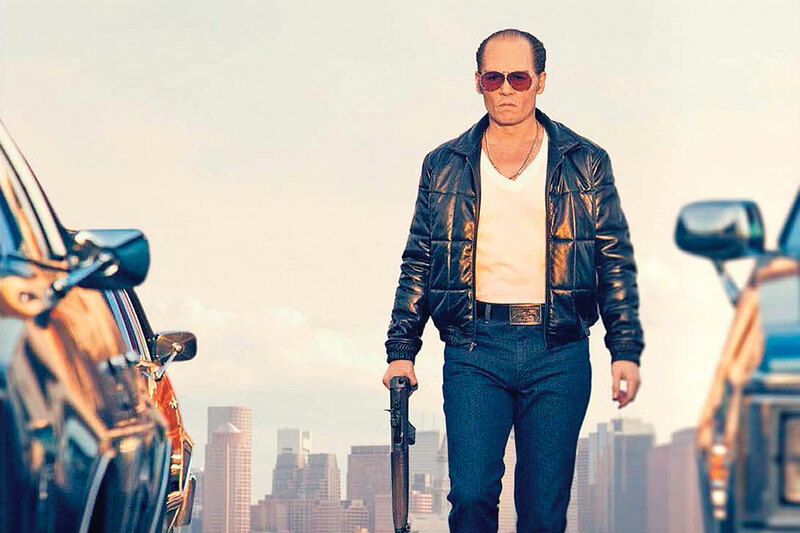 It was everything Black Mass isn’t; fun, brash and clear in its focus. Director Cooper seems to have got all his ideas from classic gangster flicks, it’s just a shame he forgot to change any of them. 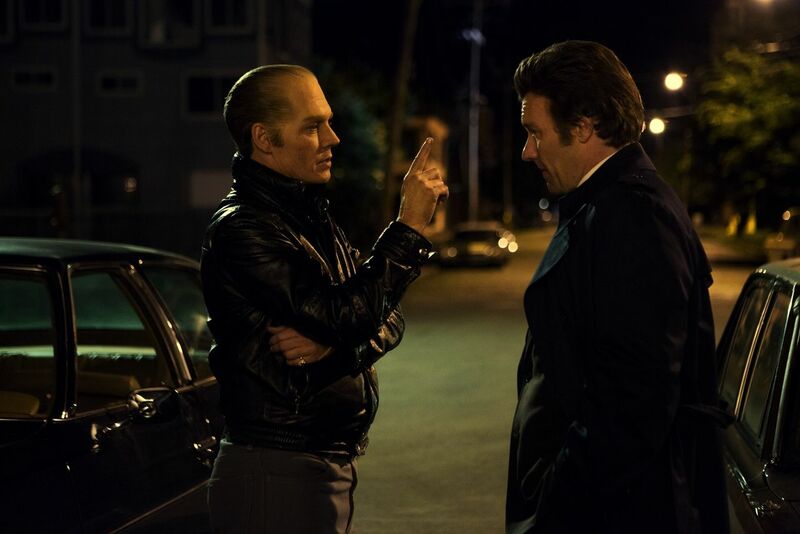 Black Mass doesn’t really drag during its two hour run time, but it doesn’t captivate either. It’s like a moment of idle day dreaming. Once the lights come on and the credits roll it’s as if it never happened. The other day my mum asked me what I’d seen at the cinema recently, I couldn’t for the life of me remember – that’s Black Mass in a nutshell.